Matt Dyer of Sabio takes us through how messaging impacts your customer engagement interactions, noting five key points to consider. Messaging works well as an engagement channel as it significantly reduces the effort placed on customers – largely because it takes advantage of what for many of us is our preferred channel and format. 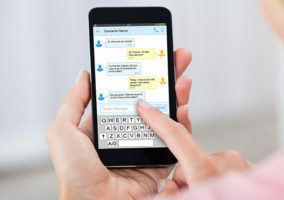 Research firm Aberdeen Group suggests that messaging via SMS, social media and messaging apps is shifting how people communicate with brands and can lead to significant improvements in both customer satisfaction and engagement. Most people now use some form of messaging app, whether WhatsApp, Facebook Messenger or Apple’s iMessage. All the major vendors have now introduced additional business chat plug-in services, making it much easier for customers to discover, engage, transact and make payments through their favourite interfaces. Instagram is the latest to incorporate business messaging functionality – all part of the company’s broader effort to “make it easier for customers to move from discovery to action”. This is just another example of an increased focus on messaging, with chat plug-ins integrating with existing customer engagement systems, as well as the introduction of additional capabilities such as voice and video calling. Having worked on a series of successful messaging deployments, Sabio believes it’s important for organisations to consider the impact of increased messaging volumes on existing customer engagement activities. Opening up significant additional volumes of customer demand without adequate agent support is clearly unacceptable, so we have identified a number of key guidelines for effective messaging deployments. Open the channel conservatively, otherwise you will see incremental demand that could be hard to handle. Also, it’s hard to switch off a channel once it has been opened and opening up messaging too aggressively is likely to lead to demand management issues. To deliver a successful pilot it’s useful to target a part of the website that has steady traffic but that isn’t going to immediately open up the floodgates – Google Analytics will be useful in providing insight here. Additionally, we would advise assigning a group of appropriately trained and skilled agents to manage messaging demand and understand its specific process requirements. Forecasting messaging demand can be complex, so it’s important that scheduling and forecasting activity is integrated with your broader WFM activities and managed strategically. By creating an appropriate activity in WFM to schedule messaging activities – as well as establishing the correct Real-Time Adherence feeds to manage this – you should be able to gain a more accurate understanding of the kind of impact that asynchronous messaging will have on your resource levels. Issues that need to be addressed here include capturing messaging contact volumes by interval and day, realistic interaction handling times and an accurate assessment of concurrency. It’s important to signpost to your customers that there will be delays in responding, and that their initial engagement could be with a chatbot agent. Agents will also need to inform customers that there could be delays in responses based on their request. Where applicable there could also be an SLA set to respond where customers are in an Active or Open (parked waiting for more information) mode. Anything over 15 minutes’ delay on the first interaction and you will see a dip in sentiment. As with any new channel, the role played by the agent is critical, particularly as they adjust to the realities of asynchronous engagement and its impact on peaks, transfers and shift ends. How, for example, does an agent deal with a messaging customer at the end of the shift? One approach is for agents to close the messaging channel an hour before the end of shift to allow time for resolving ongoing interactions. Organisations also need to think in terms of assigning priorities to reassigned or transferred asynchronous chats so that they don’t get hidden by new chats. Similarly, it’s much harder to schedule specific breaks for agents engaged in asynchronous conversations with customers. So, planners will probably need to provide their messaging agents with a greater degree of autonomy. Messaging volumes and peaks won’t always follow traditional customer contact patterns. For example, you may see humps on contacts at the start of the working day, but people don’t typically respond until much later on in the day. Tracking and learning from these new patterns is important. When it comes to performance metrics, it’s also important to track the number of actual messages closed per hour, rather than just those messages being worked on. 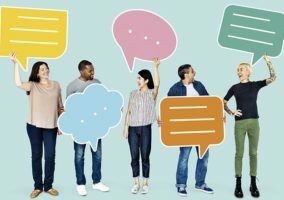 With typical concurrency levels set to five concurrent active conversations, and around 17 open but inactive conversations, messaging volumes can be deceptive. What’s clear is that, regardless of the different messaging technology approaches involved, these can only prove successful if they’re effectively integrated as part of an intelligently crafted customer journey that works across a range of channels. 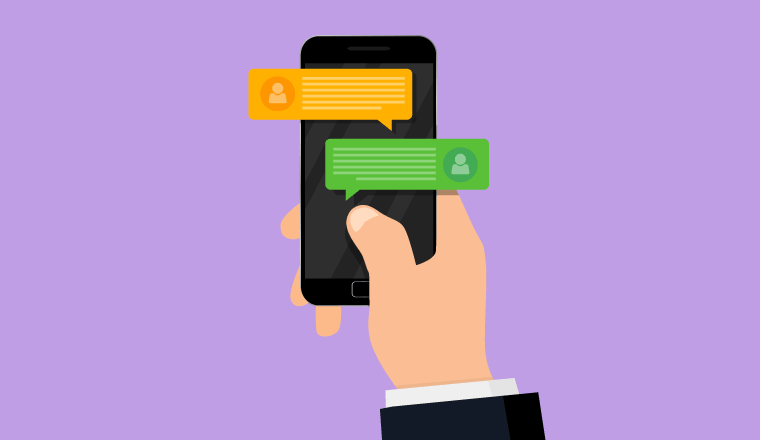 However, with asynchronous messaging already proving around 1.5 to 2x as effective as voice in terms of handling customer contacts, the prize for successfully optimising your messaging deployments is clearly worth achieving. To learn more about placing messaging at the heart of your customer engagement strategy, download Sabio’s Intelligent Messaging White Paper here. Will Messaging Apps Become the Next Mainstream Channel?